HPC Solutions, a local software vendor specializing in open-source software solutions (OSS), recently showcased MyMeetingX, an enhanced version of MyMeeting, the government’s OSS meeting management system, which allows deeper integration with Microsoft’s Exchange and Outlook working environments. 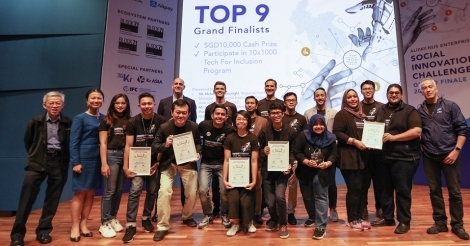 “We are certainly very proud of MyMeetingX and also very grateful for the work that Microsoft continues to do with its interoperability, standards and open source through partnerships like this," said HPC Solutions director Shaharizal Othman. "We believe there is certainly many more opportunities to explore ...."
This initiative corresponds to two major government projects, MyMesyuarat (MyMeeting) and 1GovUC, and is based on the same set of technologies, Microsoft said in a statement. Speaking about the collaboration with HPC Solutions, Zalina Abdul Halim, platform strategy manager for Microsoft Malaysia, claimed that the company’s investment and participation in interoperability, standards, and open source is as broad and deep as any other company in the industry today – resulting in more choice for customers, more opportunities for developers, and more technology innovation and market competition for businesses, governments, and consumers. “Microsoft builds interoperability into our products to help customers manage today’s mixed IT environments and reduce costs, and collaborates with customers and governments to resolve interoperability challenges between Microsoft and other technologies,” she added. Currently, user interaction with the government’s MyMeeting system is limited to its email and web interface. With MyMeetingX, users of Microsoft Outlook and Microsoft Exchange would be able to further leverage their current tool set and interact with MyMeetingX directly from within Outlook, Microsoft said. MyMeetingX was first showcased during the most recent Malaysian Government OSS Conference, an annual event organized by the Open Source Competency Center under the responsibility of the Malaysian Administrative Modernization and Management Planning Unit (Mampu) of the Prime Minister's Department. The event (pic above) was attended by more than 600 government officers and academics, including government chief information officers (CIOs) and Mampu's senior leadership. For more information about HPC Solutions and MyMeetingX, click here. Agile giants: Can corporations really do what startups can?